This article is about the Czech city. For other uses, see Pilsen. Plzeň (Czech pronunciation: [ˈpl̩zɛɲ] ( listen)), also called Pilsen in English and German, is a city in the Czech Republic. About 90 kilometres (56 miles) west of Prague in western Bohemia, it is the fourth most populous city in the Czech Republic. Plzeň was first mentioned as a castle in 976, as the scene of a battle between Duke Boleslaus II the Pious of Bohemia and Emperor Otto II. It became a town in 1295 when King Wenceslaus II granted Plzeň its civic charter as a "Royal City" and established a new town site, some 10 km (6 mi) away from the original settlement, which is the current town of Starý Plzenec. It quickly became an important town on trade routes leading to Nuremberg and Regensburg; in the 14th century, it was the third-largest town in Bohemia after Prague and Kutná Hora. During the Hussite Wars, it was the centre of Catholic resistance to the Hussites: Prokop the Great unsuccessfully besieged it three times, and it joined the league of Catholic nobles against King George of Podebrady. In 1468, the town acquired a printing press; the Trojan Chronicle (Kronika trojánská in Czech), the first book published in Bohemia, was printed on it. Emperor Rudolf II made Plzeň his seat from 1599–1600. During the Thirty Years' War the town was taken by Mansfeld in 1618 after the Siege of Plzeň and it was not recaptured by Imperial troops until 1621. Wallenstein made it his winter quarters in 1633. The town was unsuccessfully besieged by the Swedes in 1637 and 1648. The town and region have been staunchly Catholic despite the Hussite Wars. From the end of the 17th century, the architecture of Plzeň has been influenced by the Baroque style. The city centre has been under cultural heritage preservation since 1989. In the second half of the 19th century Plzeň, already an important trade centre for Bohemia, near the Bavarian/German border, began to industrialise rapidly. In 1869 Emil Škoda started up the Škoda Works, which became the most important and influential engineering company in the country and a crucial supplier of arms to the Austro-Hungarian Army. By 1917 the Škoda Works employed over 30,000 workers. After 1898 the second largest employer was the National Railways train workshop, with about 2,000 employees: this was the largest rail repair shop in all Austria-Hungary. Between 1861 and 1877, the Plzeň railway junction was completed and in 1899 the first tram line started in the city. This burst of industry had two important effects: the growth of the local Czech (Slavic) population and of the urban poor. After 1868 first Czech mayor of the city was elected. Following Czechoslovak independence from Austria-Hungary in 1918 the German-speaking minority in the countryside bordering the city of Plzeň hoped to be united with Austria and were unhappy at being included in Czechoslovakia. Many allied themselves to the Nazi cause after 1933, in the hope that Adolf Hitler might be able to unite them with their German-speaking neighbours. Following the Munich Agreement in 1938, Plzeň became literally a frontier town, after the creation of the Sudetenland moved the Third Reich borders to the city's outer limits. During the Nazi occupation from 1939 to 1945 the Škoda Works in Pilsen was forced to provide armaments for the Wehrmacht, and Czech contributions, particularly in the field of tanks, were noted. Between 17 and 26 January 1942, over 2,000 Jewish inhabitants, most of Plzeň's Jewish population, were deported by the Nazis to the Theresienstadt concentration camp. The German-speaking population was forcibly expelled from the city and indeed all of Czechoslovakia after the end of the war in 1945, according to the provisions of the Potsdam agreement. All of their property was confiscated. On 6 May 1945, near the end of the Second World War, Plzeň was liberated from Nazi Germany by the 16th Armored Division of General Patton's 3rd Army. Also participating in the liberation of the city were elements of the 97th and 2nd Infantry Divisions supported by the Polish Holy Cross Mountains Brigade. Other Third Army units liberated major portions of Western Bohemia. The rest of Czechoslovakia was liberated from German control by the Soviet Red Army. Elements of the 3rd Army, as well as units from the 1st Army, remained in Plzeň until late November 1945, assisting the Czechs with rebuilding. After the Communist Party of Czechoslovakia coup of February 1948, the Czechoslovak government launched a currency reform in 1953. This reform caused a wave of discontent, including the Plzeň uprising. On 1 June 1953 over 20,000 people, mainly workers at the Škoda Works, began protesting against the government. Protesters forced their way into the town hall and threw communist symbols, furniture and other objects out of the windows. The protest caused a retaliation from the government; as part of their retaliation, they destroyed the statue of Tomáš Garrigue Masaryk. The statue has since been re-erected. The next year, a West German homing pigeon was lost near the Czechoslovak border. It returned two days later, bearing a strong anti-communist message, signed "Unbowed Pilsen." The bird, named Leaping Lena, was taken to the United States where it was celebrated as a Cold War hero. Plzeň has a cool and temperate Oceanic climate (Cfb). Plzeň has low rainfall (604 mm (24 in) year average) evenly spread over the year. Precipitation occurs on average every second day, and the number of days with thunderstorms is 19. It receives on average 1700 hours of sunshine though winters have longer periods without sunshine. Terrain features and a relatively low altitude (290 to 390 m (950 to 1,280 ft)) give some shelter from strong winds. Winters are chilly but milder than some adjacent areas. Snow cover is erratic and lasts on average for 51 days. Though an average year has 113 days with minimum temperature below zero, the temperature falls below −15 °C (5 °F) on 5 days. The record low temperatures is around −20 °C (−4 °F). Winters are often murky with frequent long-standing haze. Spring is short, and in April to June there is blooming vegetation. Summer lasts from the end of May until the first third of September. During that period Plzeň has changeable weather which can be warm to hot. Temperatures are always above 5 degrees Celsius with nights between 8 to 18 °C (46 to 64 °F) and days between 16 to 35 °C (61 to 95 °F). Days are up to 16 hours long. Plzeň can be hot, especially during heat waves originating in the southern Mediterranean. The number of hot days above 30 °C (86 °F) is steadily growing, with 5 months (late April – early September) of possible 30+ °C days. If hot weather does occur, it is often changes after a few weeks into cold and rainy weather with incoming Atlantic-based fronts. Nights can be unpleasantly cold even in summer, with high level of humidity. Winter frosts frequently occur from the second half of November to the end of March. February is the driest month with 32 mm (1.3 in) of precipitation, and July the wettest with 80 mm (3.1 in). The only natural hazards are occasional fast changes of weather with negative consequences, e.g. floodings. Extreme values for years 2011 and 2012: An extremely cold day of 2011 had −7.6 °C (18.3 °F) on average (23 February), −0.7 to −13.3 °C (30.7 to 8.1 °F) and extremely hot day 25.2 °C (77.4 °F) on average (24 August, 19.5 to 32.8 °C (67.1 to 91.0 °F). The year 2012 had the coldest day on 12 February with minimum plummeting to −22.1 °C (−7.8 °F) and maximum around −3.7 °C (25.3 °F) with average −14.9 °C (5.2 °F). The hottest day of 2012 occurred on 21 August with daily maximum temperature 33.9 °C (93.0 °F) and minimum staying on 19.4 °C (66.9 °F) with all day average on 25.5 °C (77.9 °F). Absolute minimum and maximum for both years were −22.1 °C (−7.8 °F) (February 2012) and 37.4 °C (99.3 °F) during August 2012. Number of rainy/snowy days for 2011: 78; number of days with frost: 76; number of days with minimal temperatures below −10 °C (14 °F): 12; number of days with average temperature below zero: 35; number of days with daily average temperature higher than 10 °C (50 °F): 188; number of days with daily average higher than 20 °C (68 °F): 32. Total amount of precipitation for year 2011: 529.1 mm (20.83 in); average year humidity value: 80.8%. Maximal temperature: 33.3 °C (91.9 °F); minimal temperature −14.8 °C (5.4 °F). Average 2011 temperature: 9.7 °C (49 °F); average speed of wind: 4.7 km/h (2.9 mph), mainly from SSE. Number of days with frost was 96 during year 2012; 18 days had minima below −10 °C (14 °F) and 165 days with an average temperature on or above 10.0 °C (50.0 °F). Number of days with maxima on or above 20.0 °C (68.0 °F) was 42. In 1375 Bohemian king Charles IV endowed the Dobrow Monastery near Plzeň with the beer right, and it became the oldest brewery to survive to modern times. The officials of Plzeň founded a city-owned brewery in 1839, Bürger Brauerei (Citizens' Brewery, now Plzeňský Prazdroj), and recruited Bavarian brewer Josef Groll (1813–1887) who produced the first batch of modern Pilsner beer on 5 October 1842. The combination of pale colour from the new malts, Pilsen's remarkably soft water, Saaz noble hops from nearby Žatec (Saaz in German) and Bavarian-style lagering produced a clear, golden beer which was regarded as a sensation. Improving transport meant that this new beer was soon available throughout Central Europe and Pilsner Brauart-style brewing was widely imitated. In 1859, "Pilsner Bier" was registered as a brand name at the Chamber of Commerce and Trade in Plzeň. In 1898, the Pilsner Urquell trade mark was created to put emphasis on it being the original brewery. Plzeň is a centre of business in the western part of the Czech Republic. Since the late 1990s the city has experienced high growth in foreign investment. In 2007, Israeli mall developer Plaza Centers opened the Pilsen Plaza, a 20,000-square-metre (220,000-square-foot) shopping mall and entertainment centre featuring a multiplex cinema from Cinema City Czech Republic. Plzeň produces about two-thirds of the Plzeň Region GDP, even though it contains only 29.8% of its population. Based on these figures, the city of Plzeň has a total GDP of approximately $7.2 billion, and a per capita GDP of $44,000. While part of this is explained by commuters to the city, it is one of the most prosperous cities in the Czech Republic. The Škoda company, established in Plzeň in 1859, has been an important element of Austro-Hungarian, Czechoslovak and Czech engineering, and one of the biggest European arms factories. During the Communist era (1948–1989) the company's production had been directed to the needs of the Eastern Bloc. Disarray in the era after the Velvet Revolution, and unsuccessful efforts to gain new Western markets, resulted in sales problems and debts. After a huge restructuring process the company now has just two principal subsidiaries: Škoda Transportation (locomotives, underground trains and trams, which have been sold to Portland, Oregon; Tacoma; Seattle and Sardinia) and Škoda Power (turbines) now owned by the UK company. Many foreign companies now have manufacturing bases in Plzeň, including Daikin and Panasonic. There has been much discussion of redeveloping those large areas of the Škoda plant which the company no longer uses. 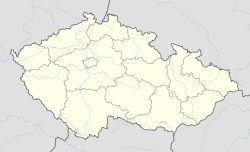 Since 31 May 1993 Plzeň has been the seat of the Catholic Diocese of Plzeň. The first and incumbent Bishop is František Radkovský. The diocese covers almost the entire territory of Plzeň region with a total of 818,700 inhabitants. The Diocese office is in St. Bartholomew's Cathedral on Republic Square in Plzeň. The diocese is divided into 10 vicariates with a total of 72 parishes. The Czech Evangelical Lutheran Church is headquartered in Plzeň. St. Paul’s Lutheran Church is a church of the Czech Evangelical Lutheran Church in Plzeň. The University of West Bohemia in Plzeň is well known for its Faculty of Law, Faculty of Mechanical Engineering and Faculty of Applied Science in particular. Martin Luther Elementary School (Základní škola Martina Luthera) is a private Christian school of the Czech Evangelical Lutheran Church in Plzeň. Local hockey club HC Škoda Plzeň and the football club FC Viktoria Plzeň are among the most successful in the Czech Republic. Viktoria Plzeň has played in the UEFA Champions League and UEFA Europa League. The most prominent sights of Plzeň are the Gothic St. Bartholomew's Cathedral, founded in the late 13th century, whose tower, at 102 metres (335 feet), is the highest in the Czech Republic, the Renaissance Town Hall, and the Moorish Revival Great Synagogue, the second largest synagogue in Europe, after the Dohány Street Synagogue in Budapest. There is also a 20 km (12 mi) historic underground tunnel/cellar network, among the longest in Central Europe. Part of this network is open to the public for tours of about 750 metres (2,500 feet) in length and down to a depth of 12 m (39 ft). Built in 1532, the former water tower was integrated into the city's fortification system at Prague Gate. Another storey was added in 1822 in French Imperial style. The Gothic portal (dating from the 1500s) was added in 1912, coming from another house that had been demolished. Above the portal there is a commemorative plaque dedicated to Dr Josef Skoda (a professor at the Vienna University), who was born next door on 10 December 1805. Plzeň is also well known for the Pilsner Urquell (since 1842) and Gambrinus (since 1869) breweries, currently owned by Asahi Group Holdings. A popular tourist attraction is the Plzeňský Prazdroj brewery tour where visitors can discover the history of beer. The pilsener style of beer was developed in Plzeň in the 19th century. Plzeň was a European Capital Of Culture in 2015, along with Mons, Belgium. The Plzeň metropolitan area is largely served by a network of trams, trolleybuses and buses operated by the PMDP. Like other continental European cities, tickets bought from vending machines or small shops are valid for any transport run by the city of Plzeň. For residents of the city, a Plzeň Card can be purchased and through a system of "topping up" be used on any public transport with no limitations, as long as it is paid up and valid. Tickets can be purchased in vehicles with a contactless smart card. A public domestic and private international airport is located 11 km south-west from Plzeň, at the nearby village of Líně. ^ "Počet obyvatel v obcích České republiky k 1. 1. 2018". Czech Statistial Office. Retrieved 1 January 2018. ^ "Plzenský Kraj – Basic information about the region". Kr-plzensky.cz. Retrieved 14 April 2011. ^ "Iron Curtain Bird Here on Crusade". The New York Times. 2 August 1954. p. 10. ^ "Heroine Pigeon Now a 'Citizen'". The New York Times. 23 August 1954. p. 19. ^ Cummings, Richard H. (2010). Radio Free Europe's "Crusade for Freedom". McFarland. pp. 116–117. ^ "Plzeňský Prazdroj, a. s." www.prazdroj.cz. Retrieved 17 October 2009. ^ "Krajský úřad Plzeňského kraje: Základní informace o kraji". Kr-plzensky.cz. Retrieved 14 April 2011. ^ "ČESKÁ EVANGELICKÁ LUTERÁNSKÁ CÍRKEV". ^ "Czech Evangelical Lutheran Church". ^ "Základní Škola Martina Luthera Plzeň". ^ "Czech wartime RAF fighter pilot Standera dies aged 95". Czech News Agency. 20 February 2014. Retrieved 2 March 2014. Wikimedia Commons has media related to Plzeň. Wikivoyage has a travel guide for Pilsen.